What does it mean to calibrate your confidence? To explain this concept, consider the accident ratios for young drivers. 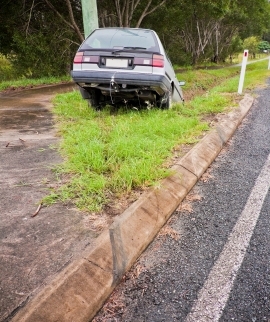 Drivers under the age of 21 are more likely to be in a car accident than those over 21. You may argue the reason for this is inexperience and therefore a lack of driving competence. Why is it then, that many of the more significant accidents involve speed? Is the cause of the accidents the inexperience, or the speed. Agree, perhaps it is both. There is something else to consider here. Would a young driver really drive at speed if they thought they were going to injure or fatally harm themselves or others. Probably, and hopefully, not. The real killer, is not the speed, not the inexperience, not the incompetence, but what puts all these things together. The real killer is a lack of awareness of one's own competencies, and the risks when overconfidence is unleashed on the roads. Being able to "calibrate one's own confidence" is a significantly under-acknowledged ability in our society. The most significant impacts seen on our roads. Putting young drivers in skid-pans where they can obtain a direct experience of their capacities is one way that they could adjust their confidence levels. There are sure to be many other "controlled" techniques. But enough about driving, the inability to calibrate confidence also turns up in the field of personal finance. Over-confidence often leads to financial disaster, just as under-confidence leads to having all your money under the pillow losing value at a rate of knots. The key to confidence calibration is to find out what you know and don't know. To learn about your strengths and weaknesses, and then to manage accordingly. The quizzes throughout the knowledge centre are designed to assist with the first part, and the money personality work is designed to assist with the second. Don't be a young and naive driver with your money. Take the time to complete some quizzes and know how you prefer to deal with money. Doing so may not save your life, but as seen in the following two articles, it could save a lot of money and heartache.